Significantly Less Disruptive – When building roads, in most cases a great amount of material must be hauled to the site in order to facilitate construction. GRT soil stabilization and dust control technologies instead rely largely on in-situ material, meaning that rehabilitation and restoration efforts will be significantly easier as the damage and disruption caused is far less. Dust Control Products – Another serious environmental concern related to road construction is dust control. If not taken care of, this can affect local water supplies, the quality of the air, and make life in the area of a sloppily managed project generally unpleasant. 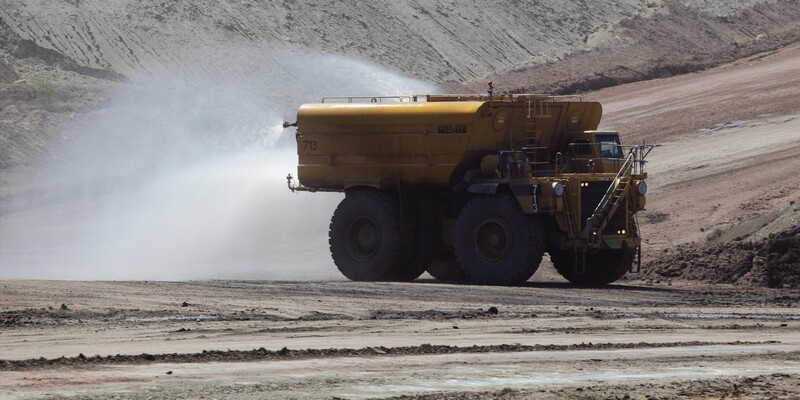 Water trucks are the usual choice to help with dust control but they bring their own set of problems, particularly in areas where water is scarce. GRT soil stabilization and dust control products do not generate overly oppressive amounts of dust and need significantly fewer water trucks as a result. Fewer Emissions – Given that there are fewer trucks carrying material to build the road surface and fewer water trucks patrolling the area on dust control duty, there is significantly less overall traffic in the area. This leads to a much lower level of vehicle carbon emissions. Lower Water Consumption – Less water is used both in dust control and in the road construction itself. GRT soil stabilization and dust control road building methods are a boon in areas stricken by drought, or that do not have a reliable infrastructure already constructed in the area. Less Noise Pollution – A final environmental benefit of GRT dust control and soil stabilization products is that there is less noise pollution associated with construction projects which employ their methods. Less logistical vehicle support combined with better construction methods leads to a much quieter road-building project, perfectly suited for urban areas where noise pollution is a very real concern. GRT soil stabilization and dust control products are revolutionizing the way businesses, militaries, and governments all over the world think about road and infrastructure development.